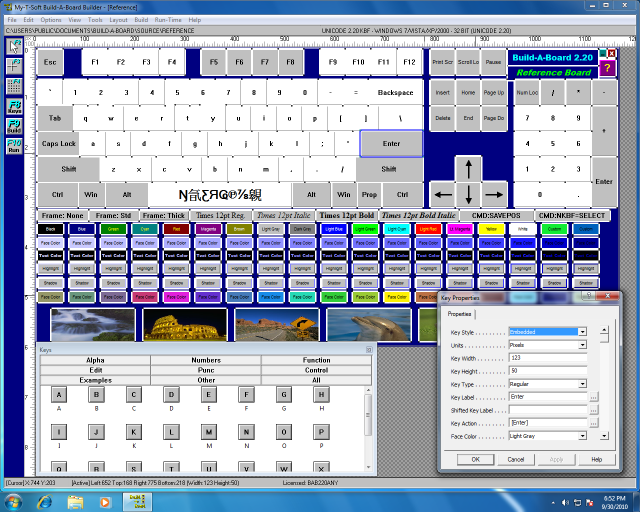 Now with Thousands of pre-built Layout Templates online and a Designer tool! 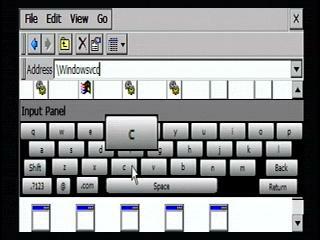 My-T-Soft CE is the premium on-screen keyboard for Windows CE. Originally released as a component of IMG's Build-A-Board Keypad Designer / Editor Tool for OEMs and large corporate clients, the demand led us to release a version of My-T-Soft CE as a stand alone product. Clients can use the included templates or create their own custom software input panels from within Build-A-Board, then drop them into the CE product or any other IMG on-screen keyboard utility. Do It Yourself or have have IMG Build layouts for you! IMG's Build-A-Board Keypad Designer / Editor Tool provides a comprehensive environment for creating, modifying, and managing groups of buttons, panels, or on-screen keypad and virtual input panels for the user interface, which can either be dropped into any My-T-Soft family of products (My-T-Pen, My-T-Touch, My-T-Soft, My-T-Soft CE, My-T-Soft TS, or OnScreen with Word Complete) or the tool can generate it's own run-time targets for Windows CE thru 10, Android, Linux, and Mac OS X.
OEM/VAR Custom Versions and Site/Enterprise Licenses available. An Ideal Complement to Pen, Rugged, Tablet PC & Touchscreen based Systems! Thousands more with international and special characters are constantly being added to the website. The pre-built layouts are all built from Build-A-Board, and can be modified or different layouts can be added and easily selected by the Input Panel option in Control Panel. My-T-Soft CE software is implemented in 2 distinct ways for operation in Windows CE. One target is written as standard Windows application and the other is a drop-in SIP (Software Input Panel) add-on. Processor support includes ARM, x86, MIPS, etc. My-T-Soft CE is the Windows CE based run-time component from IMG's Build-A-Board. It is made available as a separate purchasable product for certain customers that prefer the license per unit, rather than the platform licensing available within Build-A-Board. For My-T-Soft CE options and pricing, please contact IMG Sales. Software is licensed per workstation or device (OEM / Enterprise Image Ready Licensing is available). Please Note: The website only handles small quantity pricing.